This Child Deluxe Dr. 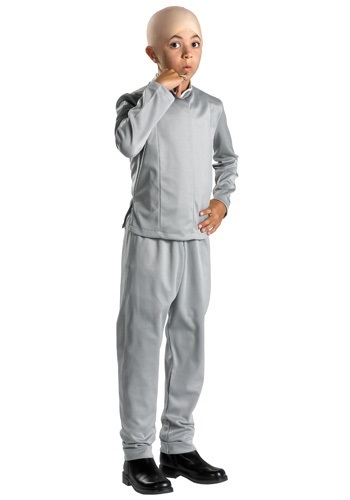 Evil Costume is just what your child needs to become the villain of the Austin Powers trilogy. The ensemble includes jacket, pants and bald cap. Add a Dr. Evil accessory kit for a complete look. Then start getting the laser beams ready and stock up on sea bass. Evil will be all that you see!